The FV Tool hired 1127 Graphic Design to do the implementation of the website in WordPress. 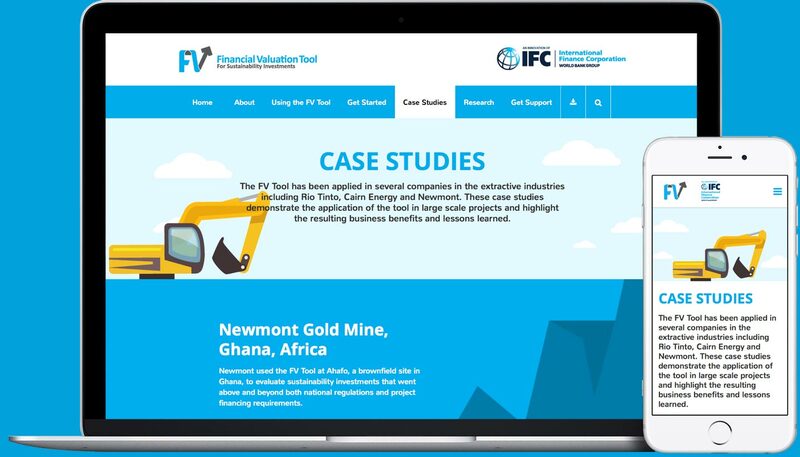 The design was contracted by the IFC and we were provided the PDFs to translate them into a functional and user friendly interface that is dynamic and simple to update. The process took over a month to get translated from photoshop to WordPress.